Solar and wind energy funds could prove to be a great investment for the future. Investors interested in fast-growing markets and socially responsible investing can satisfy both goals with alternative energy funds that focus on wind and solar companies. The returns on these funds have been inconsistent, with solar funds suffering more than wind-power operations. In general, wind and solar stocks are trading poorly in 2012, with many funds having lost half or more of their initial value. The PowerShares Global Wind Energy ETF (PWND) fund, rebalanced quarterly, consists of companies that develop, manufacture, distribute and install wind energy turbines. Expenses on the fund run three quarters of a percent. The fund is ripe for a turnaround after having lost 75 percent of its value between 2008 and 2012. The fund itself is based on the Nasdaq OMX Clean Edge Global Wind Energy Index. While the underlying index has performed better than the PowerShares fund, the index has still performed poorly overall. American solar energy firms, despite governmental loan backing through grants from the Department of Energy, are not thriving. 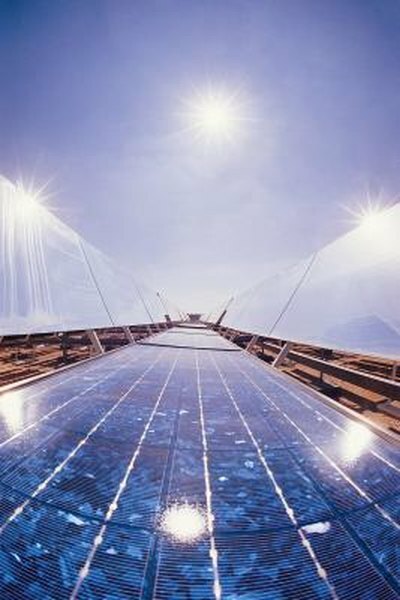 The Market Vectors Solar Energy ETF (KWT) fund is a collection of solar energy stocks that have seen almost no growth in recent years. During the three years this fund has been in place, it's lost nearly 50 percent of its value, which is slightly worse than the solar energy index the fund is based on. Expenses in the fund are low, coming in at just over half a percent. The fund trades on the NYSE Arca. The First Trust ISE Global Wind Energy Index ETF (FAN) electronic exchange fund is based on the ISE Global Wind Energy Index. Within its first three years, the fund went from a $30 inception price to a low in the $5 range. The fund is heavily grounded in global wind utilities to the tune of about 65 percent of the fund's overall makeup. Much of the rest of the portfolio is in industrial capitalization. Even though the fund makes use of a fair amount of investment in Europe, where wind energy is used most prolifically, about 40 percent of the portfolio focuses on Spain and the U.S. Both of these countries have seen dramatic profit drops for alternative energy companies. Gabelli SRI Green Fund, Inc.(SGRIX) incorporates elements of wind and solar, though it is much heavier on conservative solar energy investments. The fund is actually highly rated by the Alt Energy Stocks website and was profitable for investors in both 2010 and 2012. The fund is actively managed. In addition to energy, the fund is deeply rooted in the energy efficiency industry, which might account for its relative strength.